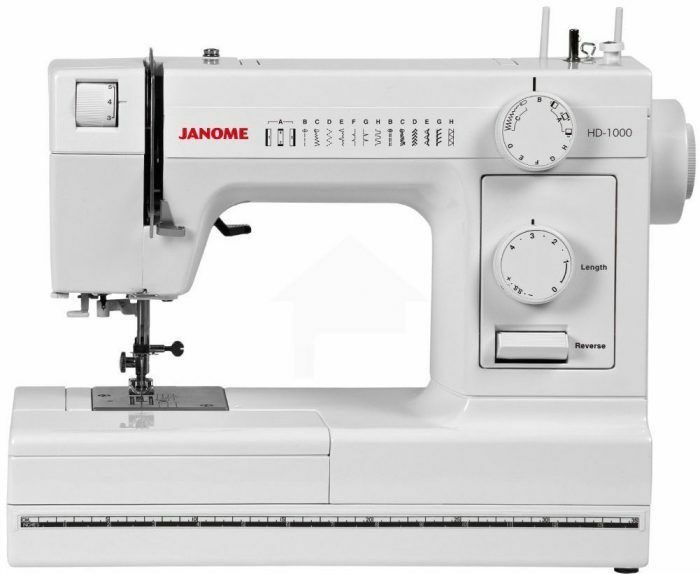 The Janome HD1000 is a sturdy heavy-duty machine that offers an enjoyable sewing experience. It has a heavy-duty construction that can handle a wide variety of fabrics and types of sewing. 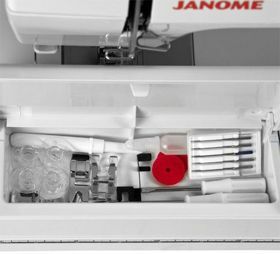 The Janome hd1000 is a great machine that is easy to use and reliable. It is a mechanical machine without a lot of electronic features, which means that this is an excellent choice for the beginner who knows that they will be continuing to pursue their hobby. They will probably not need to purchase another machine for quite some time. 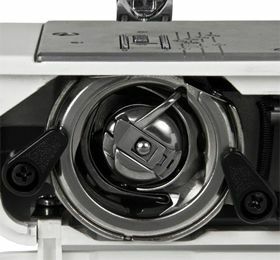 It is an excellent machine for the beginner or the intermediate sewer who is moving on to more advanced techniques and different types of fabrics. 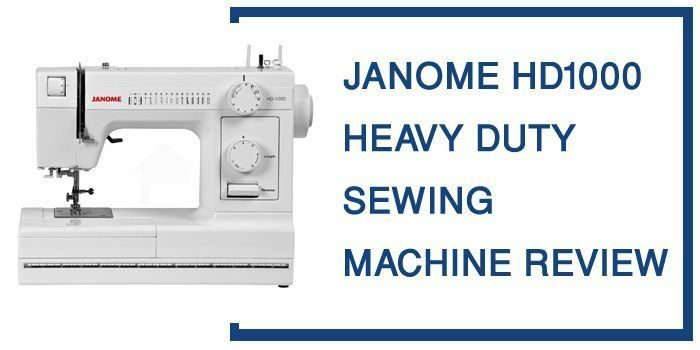 The Janome HD1000 has exactly what you would expect from a machine that is designed for durability and simplicity. It is a great choice for the diverse sewer who uses a wide variety of fabrics and as many different types of sewing. It may not be heavy on features, but it can be considered the daily driver of sewing machines. This model features 14 different stitches and one four-step buttonhole feature. It has an easy to use stitch selection dial with all of the stitches right on the face of the machine for convenience. It has 3-piece feet down system that is designed for medium weight fabrics but can also handle those that are slightly heavier or lighter in weight. This machine comes with a zigzag foot and rolled hem foot, with a wide variety of accessories that are available for purchase. You can customize your array of successor to suit exactly the type of sewing that you intend to do most often. One of the more popular accessories for this machine is the convertible free motion quilting foot set. It also comes with a free motion quilting low shank foot. 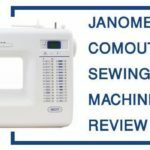 This machine is known for its durability and ability to consistently provide high-performance standards in terms of stitch quality and a jam-free sewing life. The machine is made from heavy-duty aluminum and sturdy hard plastics that can take a beating. This machine was built to last a very long time without needing to be repaired or replaced for quite some time. A. This machine was not designed to be an embroidery machine. Embroidery machines are a specialized group of machines that have additional parts to attach hoops and accommodate specialized feet. This machine is meant to be a standard basic machine. Q. Can the sewing machine do the quilting? A. Yes, you can do some basic quilting on this machine. It has several accessories available that will allow you to do some basic quilting functions, but this is not its primary purpose. Q. What types of fabrics can this machine sew? A. This machine can handle most medium weight fabrics. It can also handle lightweight upholstery fabrics and other lighter weight cotton. Although it can be so heavy material or extremely lightweight material on a limited basis, you will be more comfortable if you stick within the medium weight fabrics for this machine. 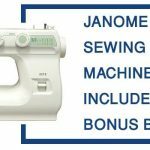 In the final verdict, the Janome hd1000 is an excellent daily driver in terms of sewing machines. It is made from heavy-duty durable materials that will last a long time. This machine will not wear out for many years. It performs flawlessly with very few issues and is great for the sewer who needs a trustworthy machine that can operate many hours flawlessly. .This is a great machine for the beginner sewer because it is not too complicated, but it also will be a joy for the intermediate or advanced sewer who does professional crafting work or sews on a regular basis. Overall, this is one of the most reliable machines on the market today.